Just a friendly hype reminder! Discussion in 'UFC Discussion' started by Clementine, Apr 5, 2019. UFC 236 is looming on the horizon and on that card future belt holders such as the talented Lauren Mueller will be competing against Poliana Botelho. April 13, you don't want to miss it! 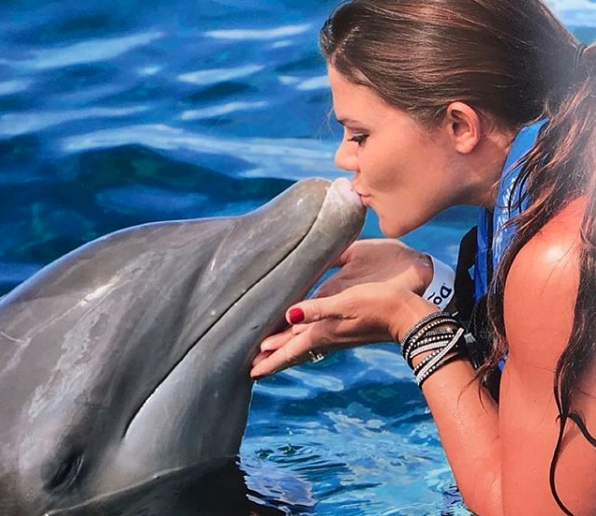 Here she is kissing a dolphin. Adorable! bufetadanacara, Beylerbey, DLX and 6 others like this. Wu's she beaten in the UFC? Not Yanan Wu anyway. when is @Buff going to make the AV bet thread on that event? Clementine and Buff like this. I'll take an account bet on the dolphin. TheRassler and Sonny Qc like this. Can you do a breakdown of her skills and why she is must see material? Ground defense game is picking up nicely! Lauren will put the other girls on notice just watch this fight coming up and you will understand why! I don't get it. Since when UFC allowed dolphin to fight in the octagon? Here you go little boy.. I also like Cortney Casey! ''Cast Iron'' has had a few losses but I still believe! I just cancelled my pre-order of UFC 236 because of this thread. Hey, this is better than no pic.